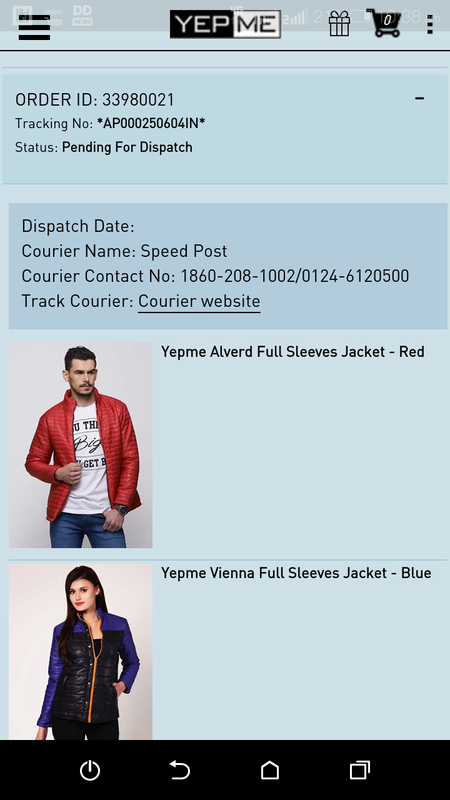 I odered two jackets on yepme.com order no.33980021 mobile no. 8009367286 on 27 november2017.I haven't been delivered with my order till now. Web site has been showing that the order is pending for dispatch for more two weeks.phone and IVR not responding ..I have paid for the order Rs1297/-.Please help me.